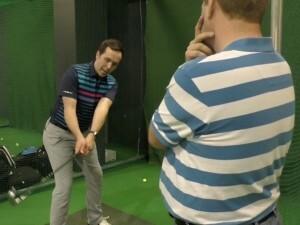 One of the great things about golf is that you don’t have to be hugely strong in your arms to hit the ball a long way. What is far more important is how efficiently you work your body. 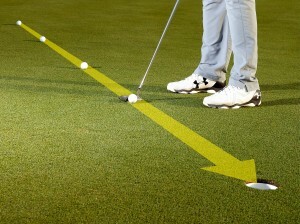 Start by setting a stance that is wider than you would have for any other shot. 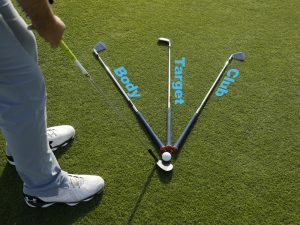 It needs to be wide enough to support your frame and this will help you when it comes to rotating your body. 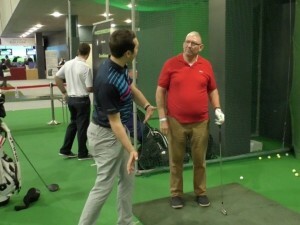 As you take the club back, try to make a big upper body turn and allow your hips to rotate to about 45˚. 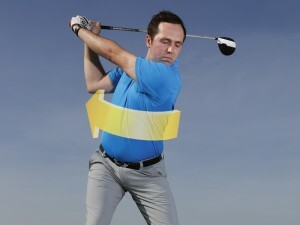 When you get to the top of the backswing, if you have made a good rotation, this position should be very hard to hold. 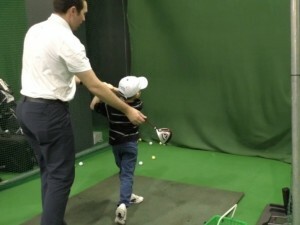 This is because, through a powerful coil, you have created separation between your upper and lower body. 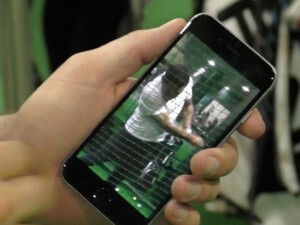 This is effectively power that’s stored, to be used in the downswing. 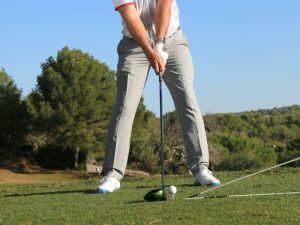 Get into the right position at the top and you can then rotate your hips back through and create the power at impact that will send your ball both long and straight. 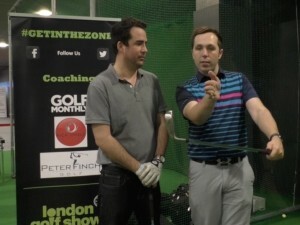 Some players are able to create a full but incredibly weak backswing by allowing their elbows to hinge. 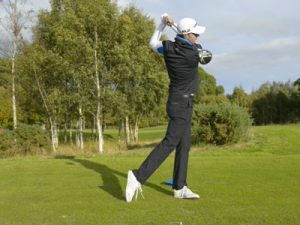 If you are also hinging your wrists too much you’ll be missing out on energy that can be stored in the backswing, ready to fire through the ball. 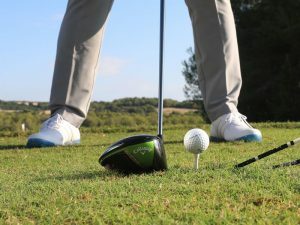 Another position that will rob you of power is if you let your hips turn too much, causing your right leg to lock straight at the top of the backswing. 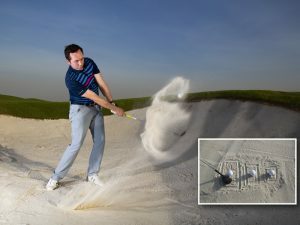 In this instance there is no separation between lower and upper body. 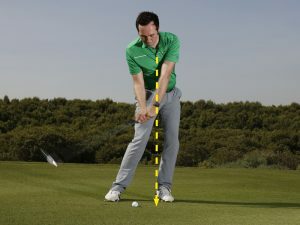 The other extreme is when the player fails to turn the hips at all. 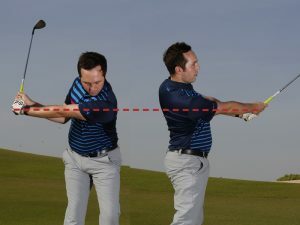 The right and left leg stay parallel to each other during the backswing. This helps you create ‘resistance’ as you reach the top and it looks strong but it is very difficult to rotate your body back through from here.